Master Farmer Brian MacWhorter of Butler Green Farms talks with Leadership in Edible Education students. EduCulture and the Master of Arts in Education Program at Antioch University Seattle partnered in July 2015 to hold the first of what will be four courses in the Leadership in Edible Education Certificate Program. The year-long program is aimed at building the professional repertoire of those seeking a career in the field of edible education. 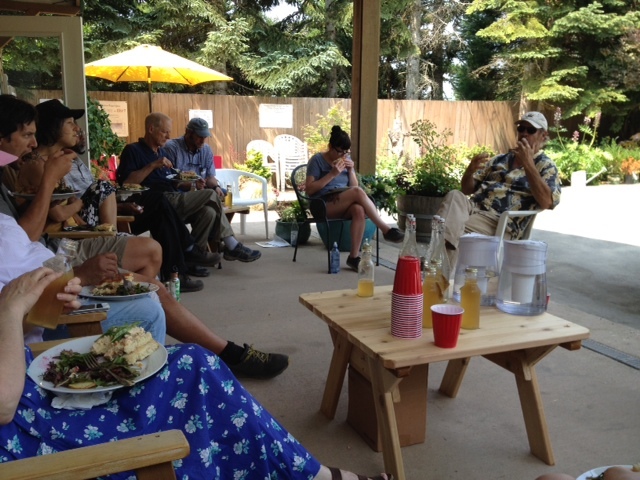 Held this summer, the first course, Education Towards Food, Citizenship & Community, explored the anatomy and interrelationships of our regional food community. Using the Central Puget Sound food community as curriculum, each class took place in the field, situated amongst regional production, processing, distribution, consumption, and recycling. Students examined alternatives to the prevailing system of industrial agriculture from farm to market to table and beyond, where emphasis is on the principles of clean, fair, fresh, nutritious, local, accessible, and traditional food. A diverse group of students attended the first course of the program, including staff from Beechers Foundation and 21 Acres in Woodinville. Attendees also included nutritionists and family consumer science educators. The course is being led by Jon Garfunkel of EduCulture and Ed Mikel of Antioch University Seattle. 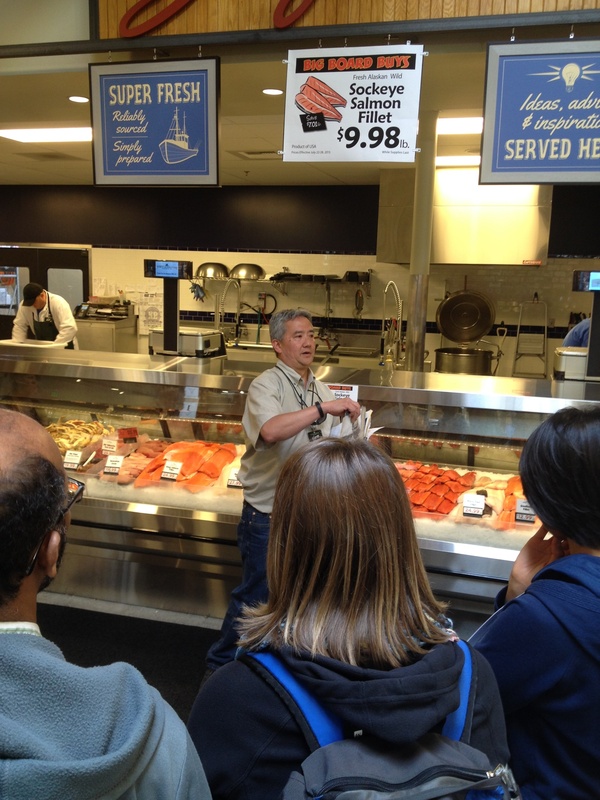 Vern Nakata, whose family helped found Town & Country Markets, is an EduCulture advisor and helps to organize class tours. Joe Pulicicchio, head produce buyer for Town & Country Market. The four-day itinerary included a walking tour of Suyematsu & Bentryn Family Farms, a tour of processing at Grounds for Change Coffee on Bainbridge Island, and a look at Bainbridge Vineyards with Betsey Wittick. 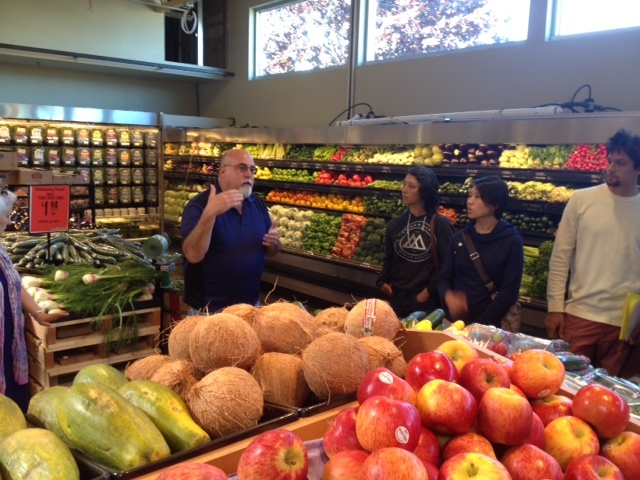 The class was also given a tour of Town & Country Market on Bainbridge, Butler Green Farms CSA with master farmer Brian MacWhorter, and Middlefield Farm. Marra Farm and Charlie’s Produce were also stops in Seattle. Click here to learn more about our Leadership in Edible Education Program.